ChoKo is the onomapoetic name for an extraordinary jazz duo that not only goes perfectly with coffee (or tea, if you prefer) but also presents the old jazz tunes in new and unfeigned ways arranged for normal listeners. Enjoy the sound of the old masters while listening in a relaxed manner or offer your guests a sophisticated background to any kind of celebration. ChoKo that is the Korean guitarist Jay Cho and the German vocalist Tabea Koloska. The two met during their studies at the Conservatory Maastricht and explore together the vastness of jazz music in order to open up fresh ways for modern ears. Their repertoire consists of a range of different jazz standards, touching on different styles such as swing, latin and musical. Tabea's Quintet plays originals and reharmonizations or inventive interpretations of jazz standards and builds bridges between the well-known music of the past and new expressions that are deeply rooted in everyday life. Every song is a different way of dealing with emotions and impressions and the musical pieces are as varied as live itself. So it can happen little by little that the pieces become very intimate and get under your skin before you know it. Tabea’s Quintet was founded in the end of 2018 around the German vocalist Tabea Koloska at the Conservatory Maastricht with the musicians Felix Brassel (trumpet), Blazhen Nastevski (piano), Pierre Insalaco (bass), Ilja Tarnopolski (drums). 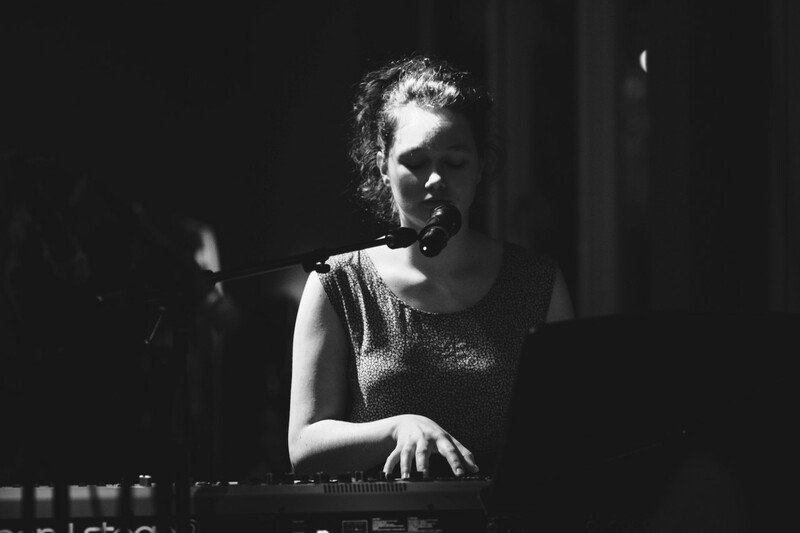 Tabea is not only the name giver for the striking ensemble but also the musical mastermind and is inspired by the music and personality of Mine, Norah Jones, Janda, Jane Monheit, Jan Jakob, Sophie Hunger, Yumi Ito, Annie Lennox, Imogen Heap, Duo Stiehler/Lucaciu, Brad Mehldau and many others. mata: Das sind Marie, Amelie, Tabea und Ariane. Vier Frauen, vier Stimmen und ein buntes Repertoire aus Lieblingssongs und eigenen Arrangements und Kompositionen. Zusammengeschlossen 2019 am Konservatorium Maastricht war schnell klar: Es muss nicht zwangsläufig ein tiefer Bass existieren, um abwechslungsreiche a cappella Songs auf die Bühne zu bringen. Mit Kreativität, Witz und Feingefühl schlägt *mata* mal laute, mal leise, mal ernste, mal humorvolle Töne an, die sich keinem Genre unterwerfen. If you have any questions, please feel free to contact me via e-mail: tabea(at)koloska.net. Also you can contact me on facebook or youtube. Your privacy is important to me, which is why I do not save any data of you on my website. If you write to me, I will save your e-mail address locally in order to reply to you.